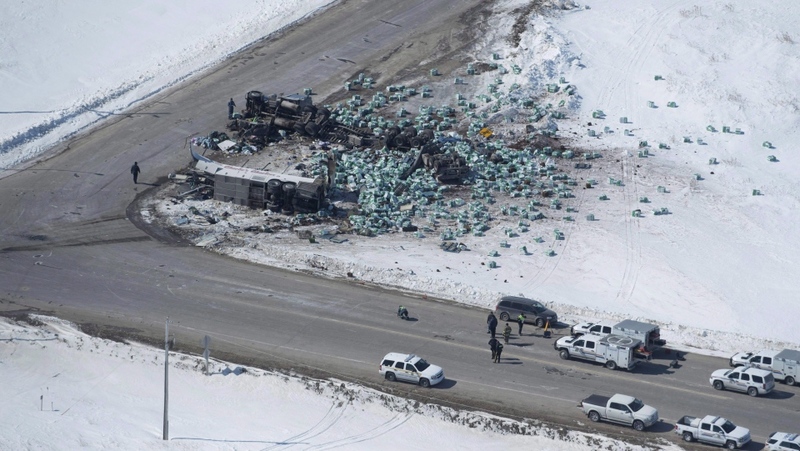 CALGARY -- Alberta is making driver training for new commercial truckers mandatory as early as January 2019, citing the recent horrific Humboldt bus crash as the impetus to get it done as soon as possible. 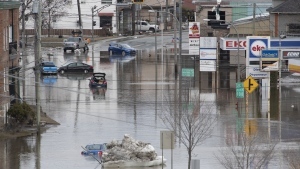 "The matters that we are working on today were things that we were working on at that time," Transportation Minister Brian Mason told a news conference Tuesday. "But clearly the terrible tragedy has focused everyone on the need to do even more to make sure that our highways and our trucking system are as safe as possible." Sixteen people, including members of the Humboldt Broncos junior hockey team, were killed in rural Saskatchewan three months ago when their bus was involved in a crash with a semi-truck owned by a Calgary-based shipper. Another 13 were injured. The driver of the semi-truck, Jaskirat Sidhu, faces 29 criminal charges including 16 counts of dangerous driving causing death. Mason said the rules of the program will be hashed out with Albertans and industry representatives in the coming months to make sure that the changes don't needlessly restrict business while keeping the roads safe. Mason said other rules will be tightened or tossed out. He said the province is doing away with an effective 60-day grace period that allows commercial carriers to operate while still working to get their safety fitness certificates. "We are going to remove that temporary (60-day) certificate," said Mason. "It will require all new carriers to prove their compliance with safety standards before they start operations in Alberta." Mason said the province also plans to have new carriers take a mandatory course on the provincial rules and laws governing their operations. The province is also considering a mandatory compliance review for new carriers within nine months to a year from the day they open their doors. Those reviews would then take place at regular intervals after that. Mason said the regular reviews would stop so-called "chameleon" carriers that get decertified for failing to meet safety standards only to set up shop and continue operating under a new name. Chris Nash, president of the Alberta Motor Transport Association, said the industry welcomes the changes. "We believe minimum standard training is required for both new and existing commercial drivers and carriers to operate on Alberta's roadways," said Nash. Sidhu had been driving for Adesh Deol Trucking Ltd., at the time of the crash. The owner of the company has said Sidhu began working for him a month earlier and had the proper credentials to operate the truck. The company's other truck has since been ordered off the road. Mason declined to say how, if at all, the new proposed changes would have affected Adesh Deol Trucking or its safety accreditation. Once implemented, Alberta would become the second province, after Ontario, to mandate truck driver training. Ontario's program consists of 103.5 hours of mandatory training, and drivers there must also show they can handle a loaded truck on major highways. Saskatchewan is also eyeing changes to trucker accreditation. The government is overhauling the road test model for all licence classes after a report found high and varying fees for the tests along with questions about the fairness of the examinations and the competence and conduct of those doing the testing. Lessons learned: Could the Humboldt Broncos crash have been prevented?